But a lot of people still need or want a laptop. Maybe a smartphone isn’t ideal for typing out long emails or you need to get some work done that wouldn’t be fun or easy to do on a phone. There are a lot of reasons people want or need a bigger device with a full keyboard. 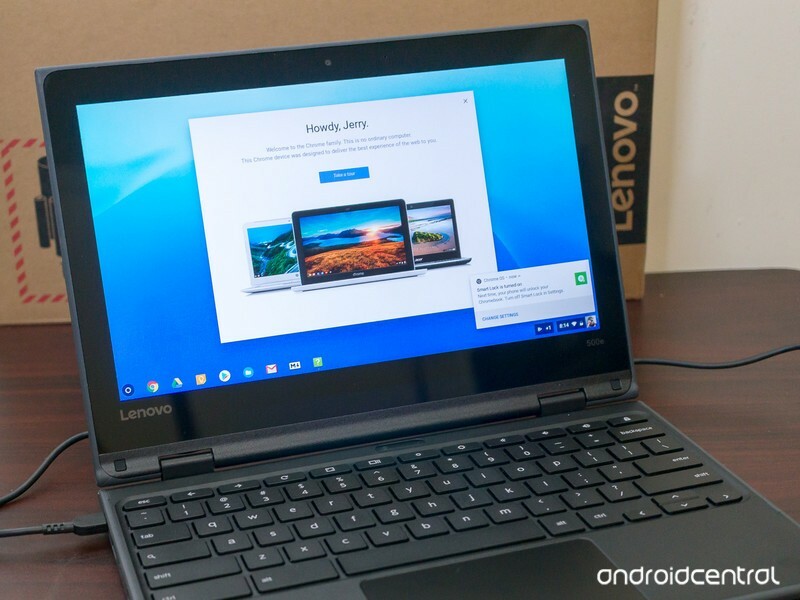 With Chromebooks becoming more powerful as Chrome OS finds its place as a mobile operating system, it’s time once again to see if a Chromebook can replace your laptop this year. The best place to start when this topic gets discussed is to mention the things a Chromebook won’t be able to do that a Windows laptop can, then talk about what a Chromebook can do that a Windows laptop can’t. Most everything here isn’t going to be a one-size-fits-all affair because we all do different things. Chromebooks can play plenty of games but not the AAA titles you see on Windows. Your Chromebook won’t be able to play most of the games you play on a Windows machine. With Linux app support coming to Chrome, gaming platforms like Steam are close to being a reality, but even there the list of titles that are available pales in comparison to Windows. This goes double if your current machine has a discrete GPU because Chromebooks all use an embedded GPU, at least for now. Though if you use a laptop with a separate graphics adapter, you already know this. Your Chromebook won’t be able to use the same titles for productivity apps that a Windows laptop does. Android support means Chromebooks can use a million or so apps, and the recent Linux support adds another set of even more powerful apps, but some products just aren’t made for any operating system other than Windows. You can find an equivalent for almost any program that works on a Chromebook — Google Docs for offline office programs, Polarr editor as an image editing and processing tool, or Power Director for video editing are just a few examples. Chromebooks don’t have the wide range of enterprise-grade apps that Windows does. Where the biggest deficiency lies is with “enterprise” grade programs. Adobe does have a full version of Photoshop for Chromebooks, but you have to be an education partner to use it. Microsoft does have office applications for Chrome, but they are online versions built as Android apps. And any specialized programs you might need in a lab or on the job probably aren’t going to be available for Chrome. Again, Linux programs will help because you will have access to enterprise software titles (often more powerful than a Windows version and the preferred title for a task!) but chances are they won’t be the same titles. Even if they are better suited for a task, it’s tough moving from an application you know to something new. Chromebooks are mobile devices. They look like a laptop and act like a laptop, but everything about the software was designed for an always-connected mobile world. Windows is moving in this direction, but still has a long way to go. That doesn’t mean you can’t use either operating system offline or at home, but features and settings are going to be designed for an always-connected environment. You can crash a Chromebook if you try hard. Very hard. Where Chromebooks shine is when your usage is more internet-focused. The Chrome browser on even a cheap Chromebook is remarkably more fluid and less resource-hungry than it is on most any Windows laptop because of the operating system’s overhead, or lack of it. And Chrome the operating system uses the same type of sandboxing the browser does, so any app you might use can’t access the data from any other unless you give it express permission. Applications designed for Chrome tend to be feature-rich and easy on resources, so the entire experience is speedy and fluid. You can crash a Chromebook or push it to a full-blown lag fest, but it’s not easy and won’t happen unless you try to do it. When you pull your Chromebook out of your bag, it turns on in seconds, goes back to where you were when you stopped using it (this can be changed in the settings), and acts as if you never stopped using it. It will always be up-to-date, always be malware-free, and always check everything to make sure you stay that way. A Chromebook is not immune to malware or viruses; no computing platform is. But Chrome OS has a string of checks in place that makes it almost impossible for any unwanted software to stay in place with nothing more than a power cycle. Microsoft has come a long way in this area and Windows 10 is the company’s most secure version yet, but it can’t come close to Chrome’s layered approach to protecting your privacy and security. Chrome was built to protect against the internet’s huge library of crapware that wants to live in your computer. This plays a big part in the Chromebook’s simplicity and security features mentioned in the previous paragraphs. A mobile device has to be prepared to be ready at a moment’s notice and has to stay vigilant when it comes to privacy or security threats because the internet is rife with them. Dodgy websites with shady downloads are something we all know about, but even legitimate sites that use legitimate advertisement services can have malware creep in through a random ad or get you locked into pop-up hell asking for money to remove malware. Even if you face an encounter like this with your Chromebook, anything bad software would try to do is erased when you power your Chromebook off. If you would rather sit comfortably at a desk or table and use peripherals like a big monitor or a full 104-key keyboard and mouse, both Chromebooks and Windows laptops are simple to use. 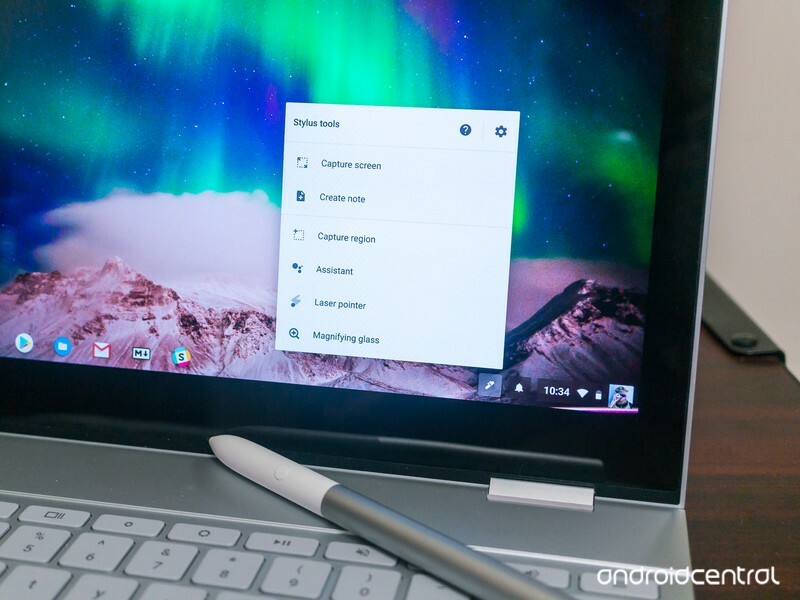 You’ll see very little difference when you use a Chromebook this way, with the exceptions begin Android apps that expect input through the touchscreen. Windows apps designed primarily for touch input will act the same; using a mouse pointer to perform touch actions gets clunky on either platform. The big difference here is that you’ll find more applications built for touch on a Chromebook than you would on Windows. Put the groupthink that Chromebooks are just expensive web browses aside, because it’s nonsense. There is a very good chance you can switch to a Chromebook and never miss a beat in 2018. 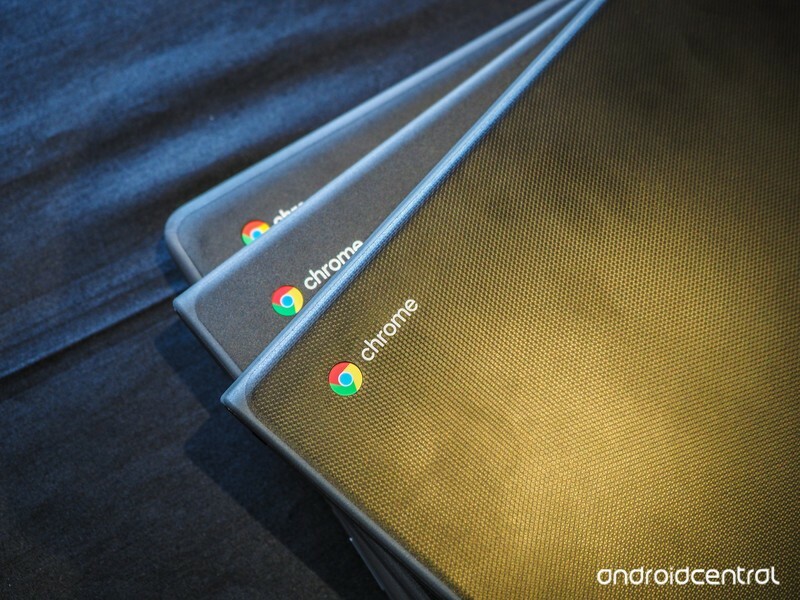 Chromebooks aren’t for everyone, but they probably are for you. 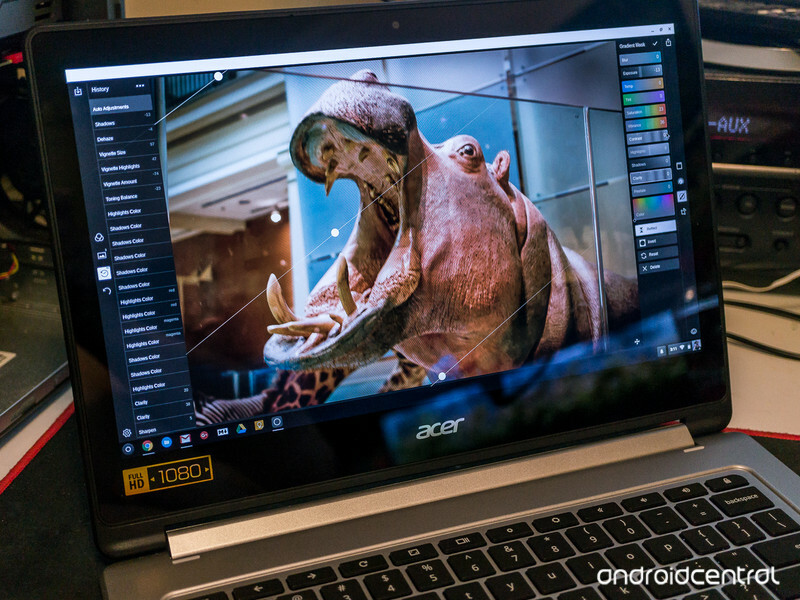 Android apps made a remarkable difference in what a Chromebook can do and for most people they mean a Chromebook can do everything you currently do on your laptop running Windows. This might not apply if you use a laptop as a portable office (that depends on what office software your company uses — at Mobile Nations, I can use a Chromebook for every task, every day) or if you have a very expensive gaming laptop or have specific programs and tools you need to connect in a specialized environment. But do you need a laptop to do any of these things, or are you using it for simple everyday tasks like shopping, communicating, finances, and all the other “normal” stuff we all do most every day? If you are, a Chromebook will serve you well. You’ll spend less money, be more secure while connected, and enjoy a more simple experience that focuses on what you’re doing instead of all the software that keeps a laptop running so you can do it. ← How are you liking Android P Developer Preview 3?